It is reported on all sides that the winter will mean terrible misery for the working classes all over the country. Aged people say that they have never seen such a want of employment at the beginning of the autumn as is seen now. Skilled workers are as badly affected as the unskilled ones. Nothing similar has been seen in this country since the terrible years of 1884 to 1886, when from one-fifth to nearly one-fourth of the Trade Unionists in the shipbuilding trade were unemployed, when nearly the same proportion of unemployment prevailed in all the leading trades; and when groups of unemployed men were walking all the day long in the streets of London and all the great cities singing their heart-rending, misery songs. It is no use hiding our heads in the sand, as do the ostriches. The bare truth must be told. It is a national calamity, and as a national calamity it must be faced by extraordinary measures. Now we all know – the last fifty years’ experience has proved it – that nothing will be done unless the working men of the United Kingdom show their teeth to the richer classes. Talk, talk and again talk – and nothing else will be done unless the rich feel menaced in their fortunes and their senseless, lazy existence. Talk in the churches, talk in Parliament, talk in the drawing rooms amidst small “Society talk,” talk in the Boards of Guardians; and – damnably true it is! – as much talk and no action – in the Socialist’ and Labour meetings. “You are idealists!” they tell us on all sides. “You talk of ideals, of principles, while force alone rules the world!” Very well then let it be force that rules the world; but let the working-men show that they also have force; besides their ideas; and only when they will have shown that they are ready to resort to force will they be listened to by those who are the admirers and advocates of force. 1. To begin with: to realise that the present want of employment is not a mere accident: That it has its deep causes in the entire present organisation of production and consumption. That it concerns, therefore, the working man who is employed at this moment (but may be thrown out tomorrow) as much as it concerns the man or woman who is at present in the ranks of the unemployed. And that it is a problem in the speedy and prompt solution of which all society is interested. In short, the present crisis of unemployment and misery is a fact in which all the nation is interested. IT IS A NATIONAL CALAMITY. 2. Whatever may be found necessary to be done will require money. And the crisis is so intense that private charity is unable to cope with it. Consequently, a cumulative levy must be put upon the richer classes of the community. It must fall on all those who pay the income tax, and the rate of imposition must grow proportionately, so as to fall heaviest upon all the incomes that exceed a certain limit, and to amount to one-fourth, or more, of the extravagant incomes of the millionaires. We say, then, that an enforced levy be imposed upon the rich, the amount of which is to be determined by a National Convention convoked for the purpose of discussing the unemployment problem. This money to be used for immediate relief and for the organisation of useful work needed by the community. 3. Special Conventions on unemployment ought to be convoked immediately; local Conventions first, and a National Convention next, inviting to them ALL interested, and taking the necessary steps to prevent their becoming Party Congresses. Every political party in Great Britain being necessarily dependent in Parliamentary elections upon the goodwill of the middle classes, none of them is sufficiently independent of middle class influences to be able to claim that it represents the poorest classes of this country. The calamity being a national calamity, all the nation can claim to have a voice in the decisions that may be taken. 4. It is absolutely certain that, whatever the decisions of the Conventions may be, it will be found necessary to give a wide opening for all those who will desire to cultivate the land and to increase its productivity. And it is most probable that true representatives of the willing-to-labour portion of the British nation would also find it necessary that the culture of the land, on the principles of intensive culture, should be organised under the guidance of experienced people, for those town workers who would be willing to perform the less heavy kind of horticultural work. For all these organisations free access to the land will be of first necessity, and the Conventions will surely discover that one of the causes why unemployment in this country so rapidly takes the form of a national misfortune is the uncultivated condition in which immense portions of the land in this country are kept, and the consequently too small amount of food that is grown on such tracts of land as are available for culture. The return of the land from the hands of the present landlords into the hands of those who are willing to cultivate it – in other words, some sort of Socialisation of the land – would certainly be one of the conclusions of the National Unemployment Convention. The return to the town and village communities of all those lands which the urban and country townships have been robbed of by the so-called lords of the manor, under the protection of the abominable Acts passed by Parliament from the year 1702 down to the present time, under the name of Enclosure Acts. By these Acts more than 7,000,000 acres of common lands have been stolen from the people. The British nation has been robbed by Parliaments of landgrabbers of a considerable portion of its property, and now is the time to restore it to its rightful owners. All the land which passed into private property under the Enclosure Acts must be returned to the urban and village communities. These few proposals would already give a concrete and practical foundation for opening discussion in the Local and National Unemployment Conventions. The further development of these proposals would depend upon the amount of practical common sense and revolutionary inspiration displayed by those who will join these Conventions. 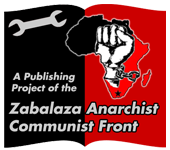 Of course, it will be asked: How are these proposals to be carried out, and what right have we Anarchists to bring forward propositions which we expect others to put into practical working? The answer is plain. We appeal, not to the State, with its stupid and impossible machinery and its everlasting red-tape, but to the public spirit of the nation, which if aroused into taking action, will accomplish in a week what Government could not do in a year. As to ways and means, they can always be discovered when the people are in earnest, and such will suggest themselves when the first Steps are taken in organising relief. Let it be remembered that the country is in a state of siege: it is besieged by a great crisis of unemployment which is threatening destruction to hundreds and thousands of our population. We do not speak of a revolution, though a revolutionary spirit is required in dealing with this national crisis. Nor are we for the moment concerned with the theories of Anarchist Communism. We simply suggest means that would be recognised as just and necessary in the case of a beleaguered city – the mutual sharing of the burden of the fight. Let the workers, and especially their “leaders”, insist that the rich shall bear their share in alleviating ‘the overwhelming starvation’ and distress that have overtaken the innocent producers of the wealth they enjoy. It is nothing less than human that this should be done, and it must be done by the direct action of the workers.